Making the switch from linebacker to fullback in training camp, Akwasi saw most of his action on special teams where he recorded 21 tackles good enough for second spot on the club. The first-year Leo who came to the club as a free agent, saw action in all 18 regular season games as well as the post-season. 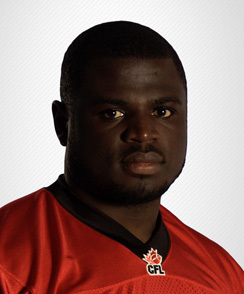 After two seasons in Calgary, Akwasi was traded to Toronto for the rights to OL Dan Federkeil. He started the year on Toronto’s practice roster, but was released on July 25 and did not play any regular season games in 2013. 2012: In his second season with Calgary, Antwi played 14 games recording 11 special teams tackles and was a key part of the reserve group that helped the Stampeders reach the Grey Cup game. He made one special teams tackles in the two Calgary playoff games in 2012. 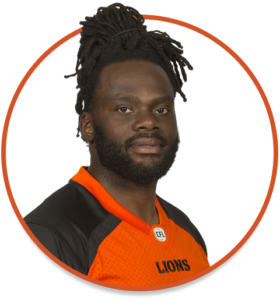 Antwi dressed for all 18 regular-season games in his rookie season in addition to the West Division semifinal and excelled at special teams in addition to serving as a backup linebacker. He led the Stampeders with 17 special-teams tackles, a total good for eighth overall among all CFL players and third among rookies. Antwi recorded a personal-best three special-teams tackles in an Aug. 27 contest against Montreal. He added two more special-teams tackles in the playoffs. During the regular season, Antwi made six defensive tackles including four in a Sept. 9 game at Edmonton. He also recovered a fumble during a July 8 game against BC. 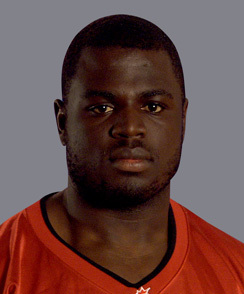 Calgary selected Antwi in the fourth round (26th overall) of the 2011 CFL Canadian Draft and he signed on May 25, 2011. Antwi played three seasons for the Mount Allison Mounties. In 2010, he made the conversion from linebacker to defensive end and led the Mounties with 47 tackles while adding four sacks and two forced fumbles. He was selected to play in the 2011 East-West Bowl. As a linebacker in 2009, Antwi led the Atlantic University Sport conference with 74.5 tackles. 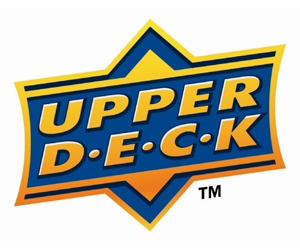 In 2008, he had 17 tackles and 1.5 sacks.